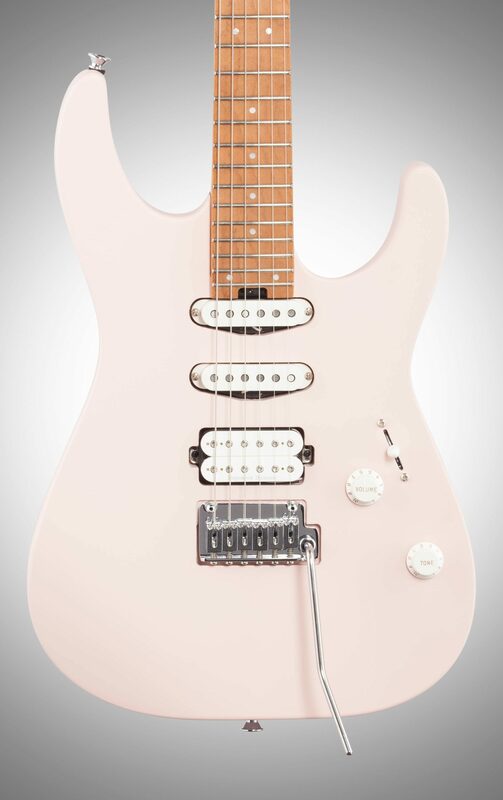 Charvel once again reaches the apex of modern high performance combined with elegant style and crushing tone with the Pro-Mod DK24 HSS 2PT CM, a stunning instrument designed especially for players whose musical vision and versatility knows no boundaries. 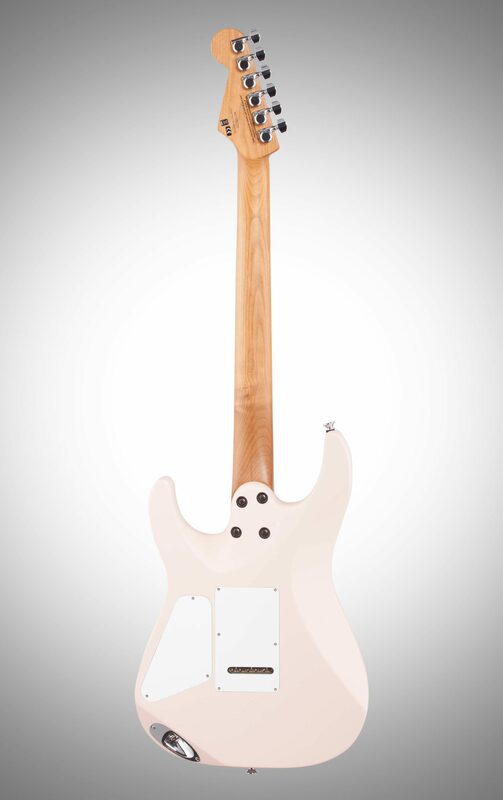 Its alder body is in the classic Dinky style. 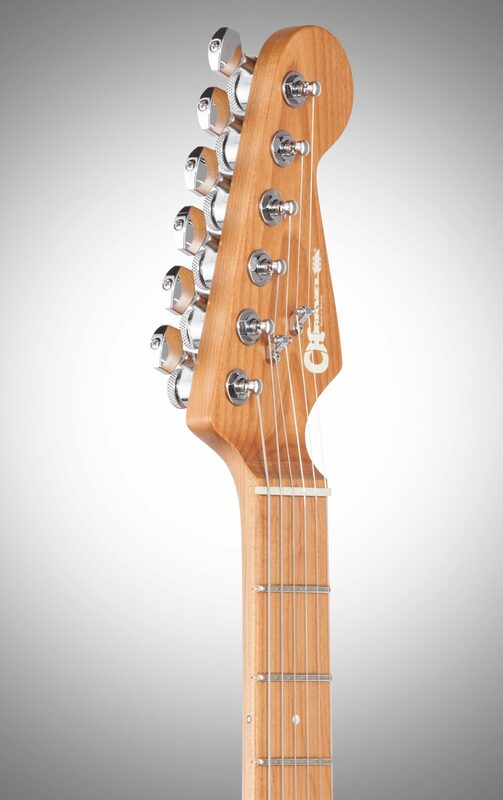 The two-piece bolt-on caramelized maple "speed" neck has graphite reinforcement, sculpted heel, heel-mount truss rod adjustment wheel, Luminlay side dots and a silky-smooth hand-rubbed urethane finish. 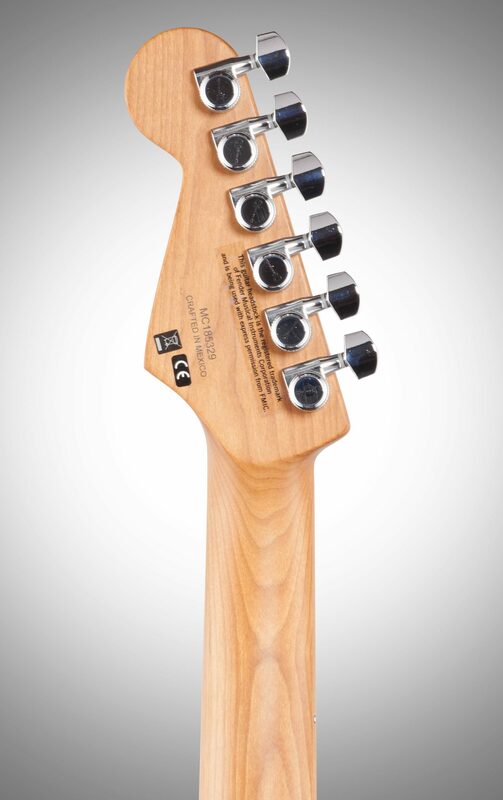 Its 12"-16" compound-radius caramelized maple fingerboard features comfortable rolled edges, 24 jumbo frets, pearloid dot inlays and Graph Tech nut. 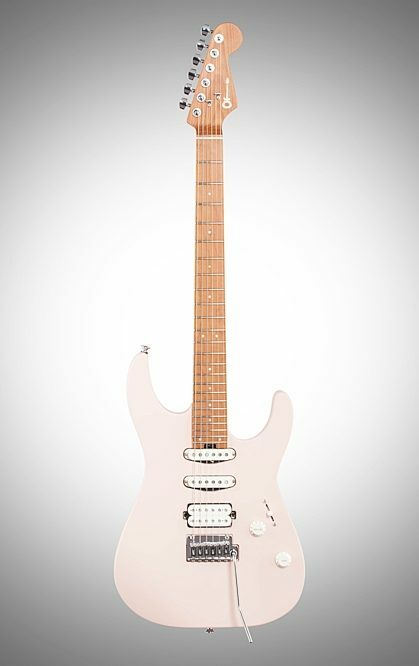 Unbelievably full and versatile tone comes from an HSS pickup configuration consisting of a Custom Seymour Duncan Full Shred SH-10B bridge pickup, Seymour Duncan Custom Flat Strat SSL-6 single-coil middle pickup and Seymour Duncan Custom Flat Strat SSL-6 RWRP single-coil neck pickup. 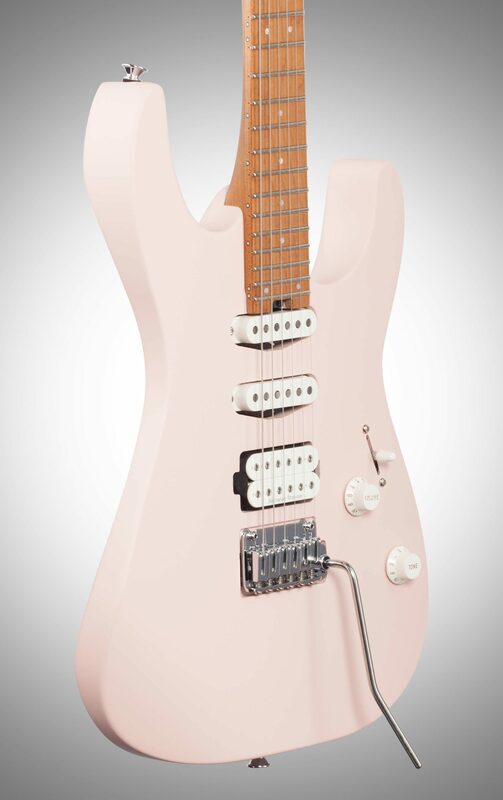 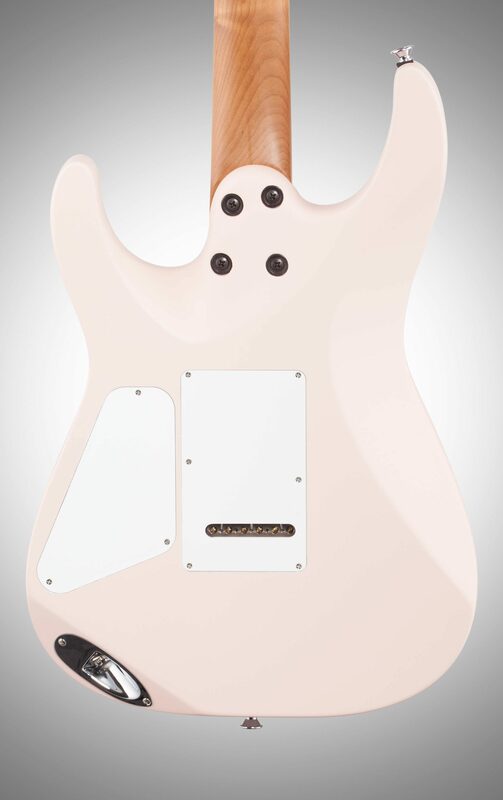 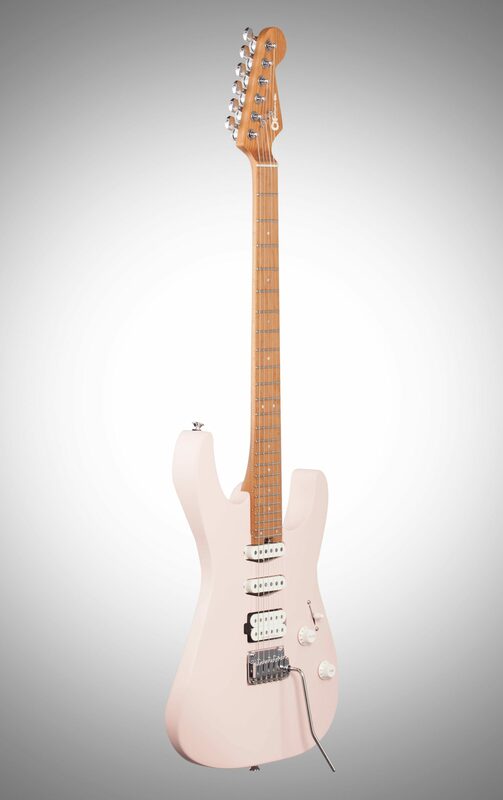 Other premium modern features include a five-way blade pickup switch, Stratocaster-style speed knobs for the volume (with 500K EVH Bourns low-friction potentiometer) and no-load tone controls, Gotoh Custom 510 tremolo bridge, locking tuners, chrome hardware and more.